We have Mini Silky T-Shirts available now. Check out the ad below. Contact Renee at registrarrenee@yahoo.com or call 540-423-9193 to order yours! 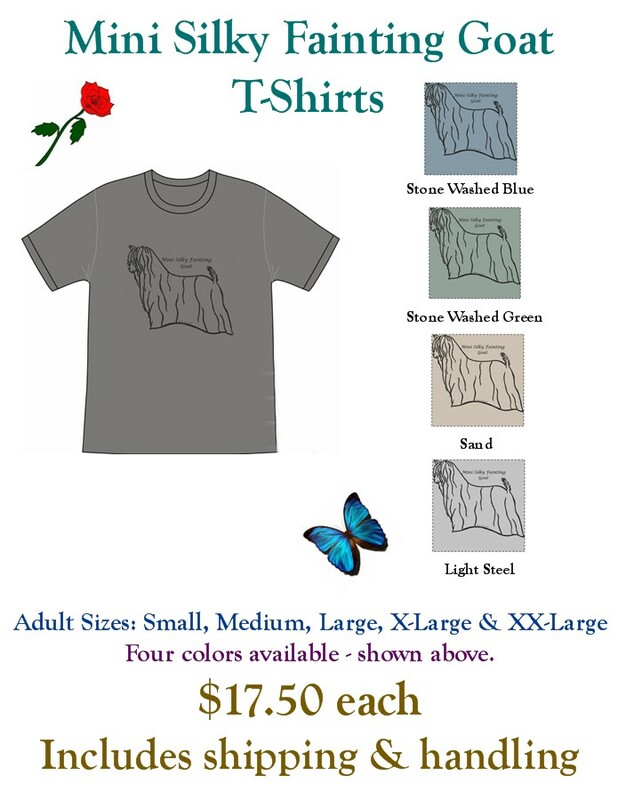 These t-shirts are a 50/50 cotton and polyester blend, so they hold their color and shape well and they don’t shrink. They make great gifts for anyone who breeds, exhibits or is just captivated with the Mini Silky Fainting Goat breed. I accept checks, money orders, cash and PayPal, but please send it as friends and family, so that I can hold the prices down. Thank you… use my email address above.